Pilates has blown up in the U.S. these last few years and it has everyone wondering what it is about this system that has people flocking into the studios. 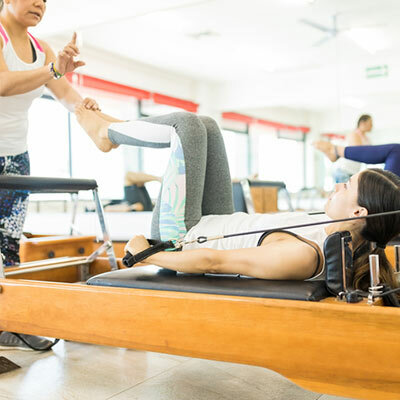 Pilates is a progressive approach to modern-day fitness that helps people from all walks of life come into the studio with confidence that their instructor will know how to safely and effectively give them the best workout for their body. Whether you are dealing with an injury, recovering from a surgery or just wanting to add in another form of exercise; Pilates has you covered! So, let’s take a look at a few reasons you should consider trying Pilates. Pilates focuses on the powerhouse, which is the core and back muscles or the midsection of your body. These muscles initiate and support our every movement and also help to protect our spine by strengthening the muscles that surround it. The Pilates Method develops a significantly strengthened core through specifically targeted exercises using fun and integrated techniques to challenge you with every class. Pilates is a gentle workout that isn’t going to harm the body which is mainly done on an apparatus called a Reformer. The Reformer is a bed like structure and has a carriage that is on wheels and uses resistance via springs connected underneath. Laying down and being able to work out horizontally allows you to use a resistance that is lighter than your body which is very useful for anyone going thru physical therapy or with any medical conditions. Pilates provides a full-body workout, making sure that you leave every class feeling balanced, energized and focused. Paying attention to all planes of the body, Pilates offers a whole-body commitment in every class. 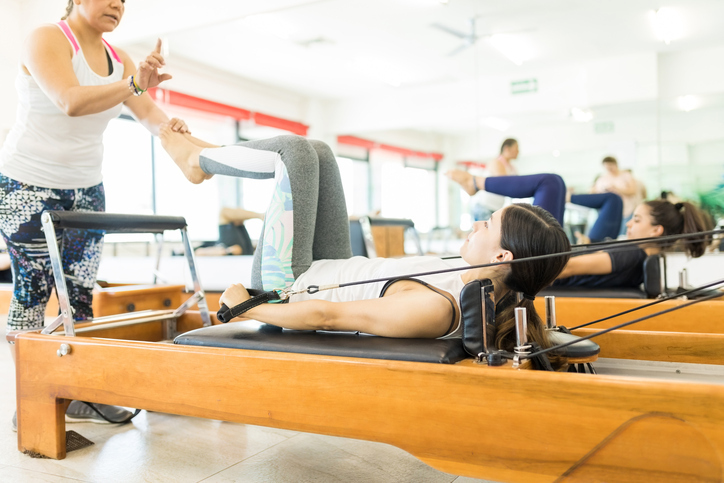 Connecting your mind and body to each exercise helps you understand how and why you benefit from Pilates exercises and keeps you coming back for the same good feeling every time you leave. Pilates instructors really know their stuff. A major requirement for instructors is that they know anatomy and have knowledge of injuries and medical conditions and how Pilates can help with each one. They look at the why behind each exercise and provide safe progressions for those who are ready by layering on their exercises, this means by starting with the basic foundations of the movements and adding on progressions so that everyone gets the work out they are looking for. Every class is a new experience. Pilates instructors strive to bring new innovative techniques to keep the classes fun, engaging and challenging while still keeping all the original concepts and principles. Awareness, breath, control and efficiency play a huge part in every exercise and while they keep things fun and new these are always the upmost focus of each class.